Ghana’s Black Stars coach Kwesi Appiah has summoned a 21-man squad for the Afcon 2019 qualifier away to Kenya without the iconic skipper Asamoah Gyan. 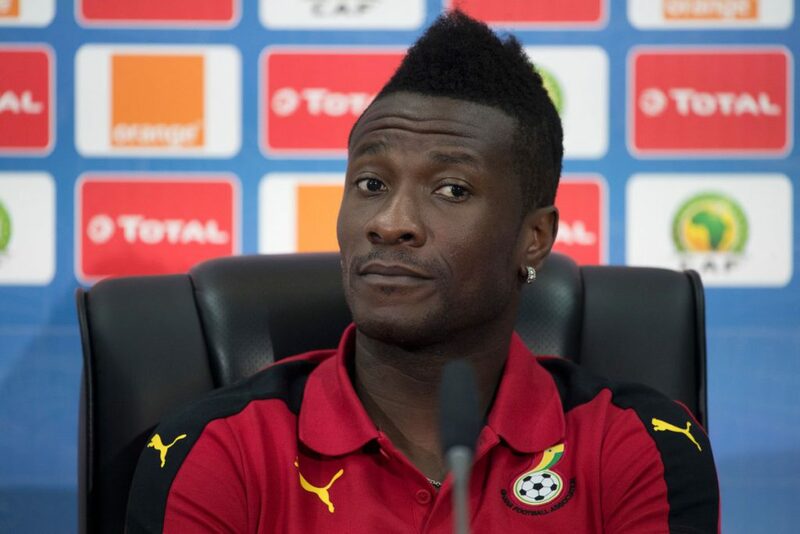 Gyan, 32, is the Black Stars’ all-time top scorer with 51 goals. He’s also Africa’s leading scorer at the World Cup with six goals. Appiah is molding a young team as a long term strategy and is reportedly preparing Inter Milan midfielder Kwadwo Asamoah for the captainship. Gyan, who plies his trade in Turkey with Konyaspor, played in Ghana’s 5-0 thumping of Ethiopia in their opening group qualifier but has struggled with injuries in the past few seasons. Also out of the squad which will camp in Ethiopia before crossing over to Kenya is Fenerbahce new signing Andre Ayew. The 28-year-old former Swansea forward has not received a summon since he reportedly feigned an injury to miss Ghana’s World Cup qualifier against the DRC. Appiah insists the decision is not personal but, rumors are rife that the ex-West Ham man has not shown enough desire to play for him. The game against Kenya will be staged at the Moi Sports Center Kasarani on 8 September 2018. Kenya’s Harambee Stars opened their campaign on a sour note, losing to Sierra Leone 2-1 away under the stewardship of coach Stanley Okumbi, who was later fired after a series of poor results. The current gaffer, Frenchman Sebastien Migne, has called up a whopping 38 players for a 5-day camp to prepare for the clash against Ghana. Kenya desperately needs to avoid another loss to keep their dreams of qualifying for the 2019 Cameroon Afcon alive.